Clinitex skin cleansing wipes in buckets of 150 x 4, each wipes being 26cm x 30cm. 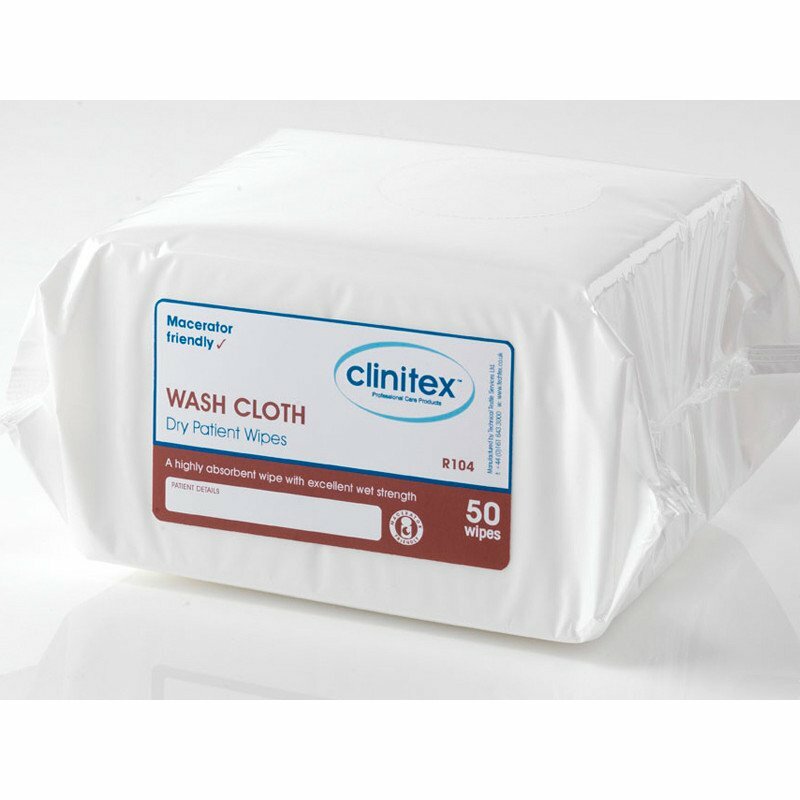 Clinitex airlaid wash cloths 28 packets each contianing 50 wipes.These Clinitex wipes are made from air-laid tissue for exceptional absorbency. Also have good wet strength for effective use with soap and water and are maceratable for disposal. These cloths are 28cm x 32cm.